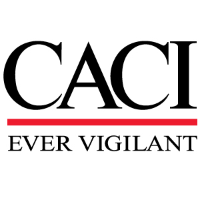 CACI is hiring a Configuration Management Specialist in support of the Department of State. The Configuration Management Specialist will be part of a group that provide enterprise software applications, infrastructure, data architecture, cloud services and business intelligence to the enterprise. As a Configuration Management Specialist, you will be responsible for all software configuration and documentation baselines. You will work on developmental and operational teams to create and maintain configuration baselines (development, test, production, etc.). Manage and track changes to project baseline – code, documentation, etc. Provide upgrades and patching for the software tracking system. Maintain documentation on the configuration management process and procedures. Analyze the current configuration management processes and provide recommendations to improve its effectiveness. Ensure all configuration management processes are documented and are being followed by the project team. Conduct, review and oversee the submitted change requests through the change management process. 3 + years experience with software configuration or build management, or release management. Experience with change management tools and workflows. Experience with ITIL Service Transition. Experience with Microsoft product suite (Word, Excel, Project). Experience using SharePoint and Office 365. Experience with running configuration control boards and knowledge of State department ITCCB process and change management tools.